On our website you will find information about all our products, downloads and all you need to install and tune your MAPECU, including wiring diagrams and base tables for many popular vehicles. If you cannot find one for your vehicle, do not hesitate to contact us. 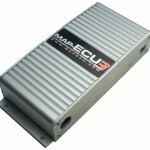 We also have a dedicated MAPECU support forum www.mapecu.com/forum with many years of reference information, base tables and wiring diagram information.